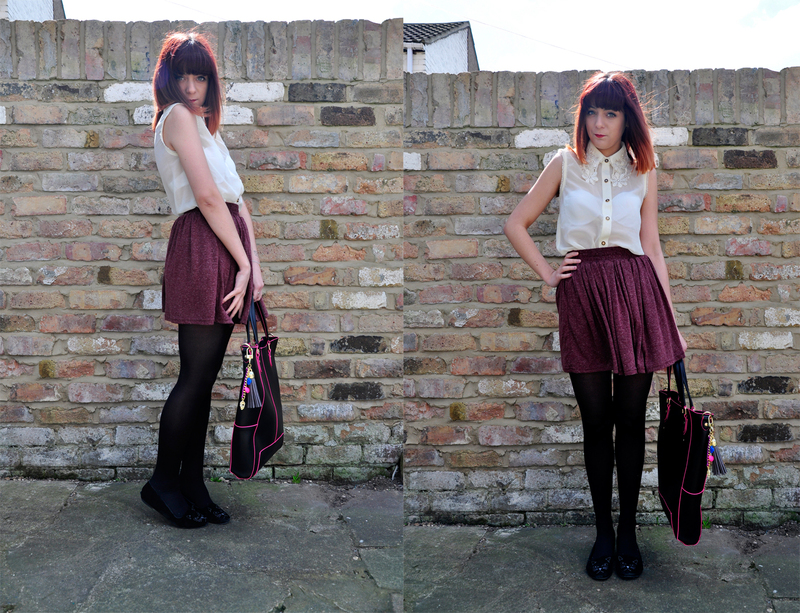 helloellaxo: Outift of the day - Ark Clothing. Outift of the day - Ark Clothing. Hello all! I hope you're having a good start to the week, not sure about you guys but it's got colder again up here :( where's the nice weather gone?! Ark Clothing kindly sent me this outfit which I'm in love with, it's from the Hearts & Bows collection. The blouse is so pretty and the skirt can be worn with almost anything. They both fit perfectly and the quality is so good! You can never go wrong with a casual jersey skirt and a beautiful blouse they work really well together. I'd wear my leather jacket with this outfit too and possibly heels if I was going out in the evening. The detailing on your shirt is so beautiful, love the shoes too! Gorgeous girl! Your blouse is so pretty! I love all the detailing on it, it looks very special and unique. The collar is so pretty for wearing under sweaters too! Love it!